Bustling and active with new development, Port Chester is Westchester’s biggest village. Located on Long Island Sound, Port Chester was a thriving port from the earliest days of the newly minted republic. Today, positioned between New York and Connecticut and the juncture of every major highway along the Sound, it’s become a destination for shopping and dining. Historically, like many ports, it has always had an abundance of newcomers-a tradition that continues today with a vibrant multi-cultural ambiance in which it takes great pride. 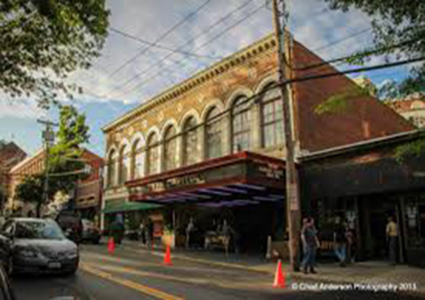 For its residents, Port Chester offers affordable, charming housing, access to the water, many recreational programs and extensive educational resources. A Bee-Line bus stops at the Port Chester Train Station for Routes 13, 61 and 73. Bee-Line info: 914-813-7777 or go to www.beelinebus.com for schedules. Port Chester is serviced by the Port Chester-Rye Union Free School District which consists of four elementary schools-John F. Kennedy Magnet School, Thomas A. Edison, the King Street and Park Avenue Elementary Schools; and, Port Chester Middle School and High School. Port Chester residents have the use of Oakland Beach located on Forest Avenue as well as Rye Town Park with 62 acres of preserved land with mature plantings, a duck pond and other recreational areas. Also available to Port Chester residents is Crawford Park, a 35 acre estate donated to the town by the Crawford family upon the death of Mrs. Edna Crawford. It includes the mansion which was the family home built in 1910 and playgrounds, ball fields, and picnic areas. Nearby SUNY/Purchase has numerous concerts, art exhibits and workshops open to the public. The Port Chester Recreation Department has a variety of programs for children and adults. Port Chester Day Camp is a six-week camp open to children from 6-12. The Columbus Park restoration project will provide a synthetic turf for soccer. The YMCS has an indoor pool and outdoor pool can be found at Saxon Woods. Port Chester is part of the South East Consortium for Special Services which provides recreational activities to residents with disabilities. An extensive program for senior activities is also available. The Port Chester Library at 1 Haseco Avenue has over 61,000 publications and offers numerous special programs for patrons of all ages. With over eighty restaurants, Port Chester has become a Mecca for diners. Port Chester’s abundance of great Southern Italian restaurants with devoted followings reflects its Italian heritage.Per Voi, Marianacci’s-a part of the Port Chester scene for decades, Hostaria Mazzei, and Piero’s-a small neighborhood place that people come from all over Westchester to try-are among the most notable. New favorites include Sonora and Pacifico, both getting rave reviews for their innovative Nuevo Latino cuisine and exotic drinks menu. F.I.S.H. is also stretching the limits of the imagination with its Mediterranean seafood dishes and beautiful setting on the Byram River. In the fun department, is Café Mirage offering an eclectic menu at hours more typical of Soho than Westchester. For boutiques and gifts, the downtown has several charming shops as well as those in Rye and Greenwich.